Summer brings out the reader in all of us. rukkle has put together our best gay books for 2014. Here’s our top 10 picks for 2014′s best summer reads, including five recent fiction and non-fiction releases. We love to share our lists of best gay books. After the huge success of last year’s edition, we’re returning with our top 10 picks for 2014′s best summer reads. We’ve divided the list into 5 fiction and 5 non-fiction recent releases. If you plan on purchasing any of these books, you can support rukkle (at no extra cost to you) by using the Amazon affiliate links below. “Jason K. Friedman investigates art, sexuality, love, and religion in seven unconventional and engrossing short stories. 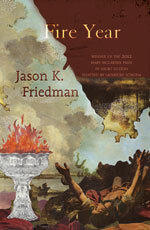 Purchase Fire Year by Jason K. Friedman on Amazon. “It’s October 1990. 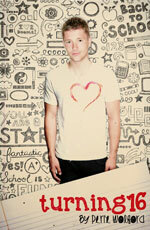 Jacob Putnam is young and full of ideas. He’s arrived a year too late to witness Czechoslovakia’s revolution, but he still hopes to find its spirit, somehow. He discovers a country at a crossroads between communism and capitalism, and a picturesque city overflowing with a vibrant, searching sense of possibility. 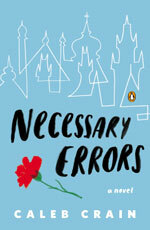 Purchase Necessary Errors by Caleb Crain on Amazon. “Twenty years ago, little Brian Arlington was kidnapped from his family’s Long Island estate and was never seen again. The trail went cold, but investigative journalist Griff Hadley has always thought there was more to the story — much more. 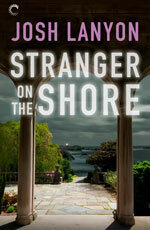 Purchase Stranger On the Shore by Josh Lanyon on Amazon. When he turned 1, he fell face-down into his birthday cake; when he turned 5, he broke his left arm and when he turned 7, he broke his right arm and his left leg; when he turned 12, his house caught fire. Purchase Turning 16 by Perie Wolford on Amazon. “As a teenager growing up in the 1980s, all Jerry Mahoney wanted was a nice, normal sham marriage: 2.5 kids and a frustrated, dissatisfied wife living in denial of her husband’s sexuality. Hey, why not? It seemed much more attainable and fulfilling than the alternative—coming out of the closet and making peace with the fact that he’d never have a family at all. 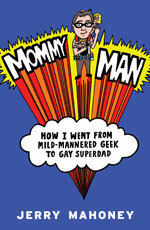 Purchase Mommy Man: How I Went From Mild Mannered Geek to Gay SuperDad by Jerry Mahoney on Amazon. “In this timely work—part memoir, part investigative analysis—a prize-winning writer explores the explosive and confusing intersection of faith, politics, and sexuality in Christian America. When Jeff Chu came out to his parents as a gay man, his devout Christian mother cried. And cried. Every time she looked at him. For months. 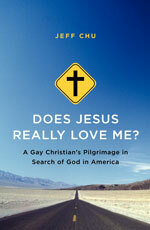 Purchase Does Jesus Really Love Me: A Gay Christian’s Pilgrimage In Search of God In America by Jeff Chu on Amazon. “David Halperin, a pioneer of LGBTQ studies, dares to suggest that gayness is a specific way of being that gay men must learn from one another in order to become who they are. 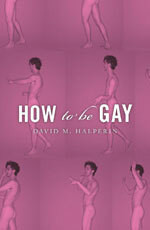 Purchase How To Be Gay by David M. Halperin on Amazon. “Meet Grindr: How One Gay App Changed The Way We Connect is a fascinating peek inside the world of gay hookups. Using mobile internet and GPS, men can find one another nearly anywhere, and many men are: Grindr, the most popular of hookup apps, has six million users and they spend over 90 minutes a day using the service. Purchase Meet Grindr: How One Gay App Changed The Way We Connect by Jaime Woo on Amazon. “In this vibrant new history, Phil Tiemeyer details the history of men working as flight attendants. Beginning with the founding of the profession in the late 1920s and continuing into the post-September 11 era, Plane Queer examines the history of men who joined workplaces customarily identified as female-oriented. 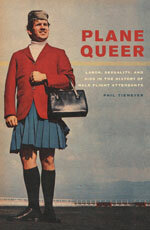 Purchase Plane Queer: Labor, Sexuality, and AIDS In The History Of Male Flight Attendants by Phil Tiemeyer on Amazon. “Rick Whitaker’s semi-autobiographical novel, An Honest Ghost, consists entirely of sentences appropriated from over 500 books. Inspired by the task of unpacking his library, the narrator returns to writing an autobiographical novel about the sudden appearance of his son, Joe, who at age nine shows up on the narrator’s doorstep for the first time. 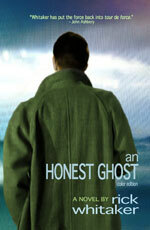 Purchase An Honest Ghost by Rick Whitaker on Amazon. We hope that our top 10 summer reads for 2014 provides some of the best gay books for you to read this year. What are your suggestions for us? Thanks for including me! I’ll have to check out these other books.